The event of the summer is back! 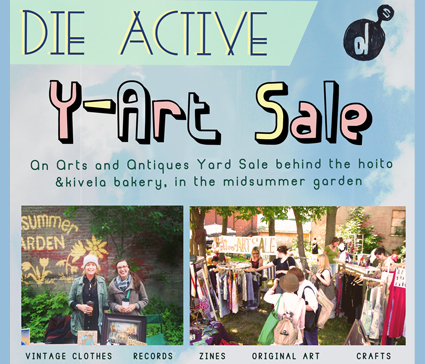 Shop for Vintage clothing, records, original art work, hand made jewellery, zines and more at this unique one day only event. Free art workshops, live music, lemonade stands and treasures all in one summery place. *to inquire about a table please email loradefsup@hotmail.com, space is limited.